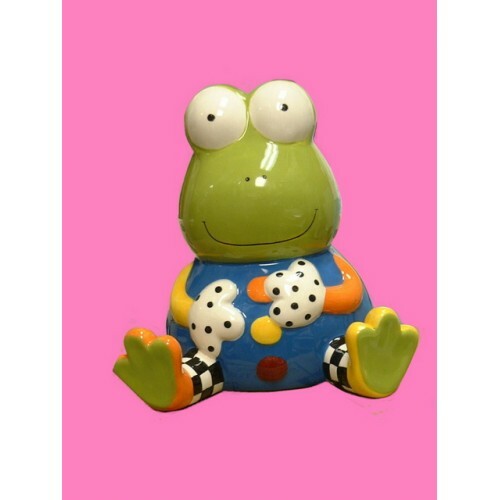 6.5" H. x 6.5" W. x 5.5" D. Ceramic Frog Bank. Add $6.00 for Name. GUND 13" H. Soft Plush Frog is swaddled inside of a 15" x 15" Satin-Edged Blankie. Add $6.0..
44 1/2"" H. Wooden Flower Growth Chart with 3 Photo Spaces measures child up to 60". Holds 1 4" r..